Looking for rug hooking as hobby, craft or as fibre art form? This is the place to be! We're a dynamic Guild wich offers a variety of activities. Monday Meetings are from 10 AM to 3 PM, from the beginning of September to the end of May, at Centennial Hall, 288 Beaconsfield Boulevard, Beaconsfield, Quebec. Saturday Meetings at La Tricolette, 3652 Saint-Charles Blvd, Kirkland, from 10 AM to 3 PM as per Events Calendar. The Guild provides cutters to be used during the meetings. From time to time, we auction off wool, kits and other supplies. The items are donated by members or friends of our guild to raise funds for our Guild as well as to help various charitable organizations. 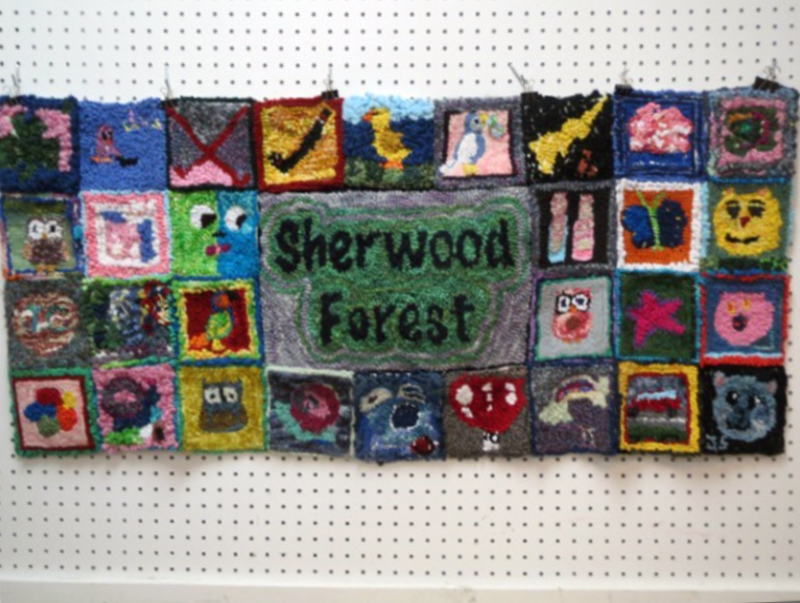 On Heritage Day, June 24th, in conjunction with the activities organized by the City of Beaconsfield, our Guild gives a demonstration of rug hooking. We host a hook-in picnic in the Spring as well as luncheons twice a year. On Monday meetings, members have access to our library in which there is plenty of information about rug hooking. 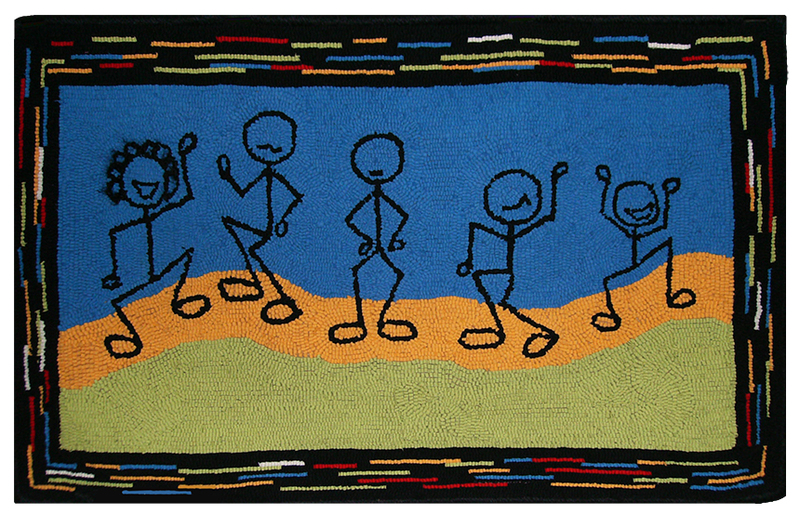 We are subscribed to Rug Hooking Magazine and the Guild continuously upgrades its collection. Every two years in September, we host an exhibition where we display our latest masterpieces. The show is open to the public. Our Guild has two experienced teachers: Lois Morris and Judith Dallegret. We try to offer new courses each season. You can learn the different dyeing techniques, how to shade flowers, how to create your own patterns, how to transfer existing patterns to a background, how to finish your work (binding and whipping) and all there is to know about becoming a rug hooking fibre artist. You will meet a lot of people! 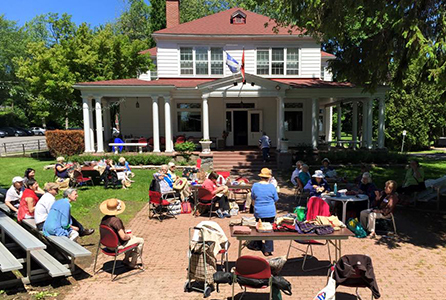 We host an Annual Picnic to share our passion with other groups from Quebec, Ontario and USA. The Guild also receives Hook-In and Get-Together invitations from friends. We love to pay back to the Community! 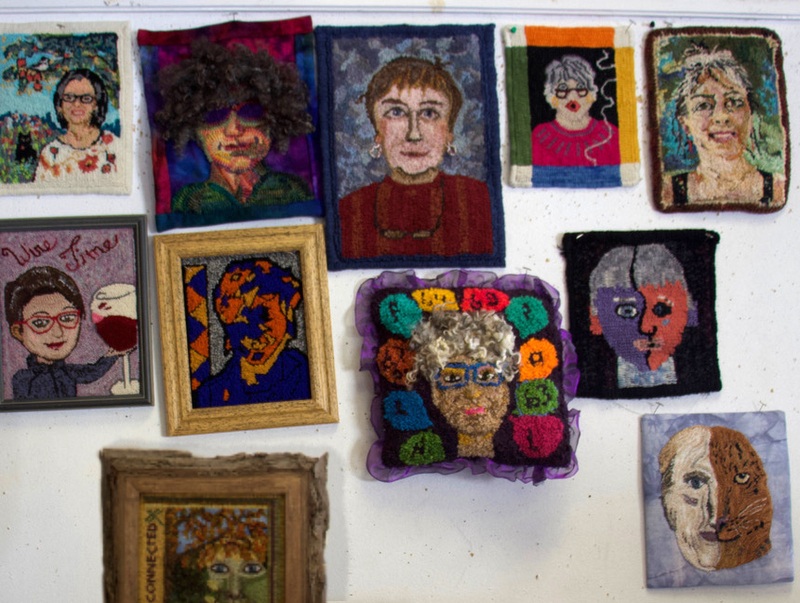 For example, in 2015, as part of the Guild's 40th Anniversary, we introduced rug hooking to a local school and exhibited their pieces at our 40th Anniversary Exhibition. We also made small flowers (padulas) to give to recipients of Meals on Wheels on The West Island and offered mugs and mug rugs to the West Island Mission. The Guild organizes Challenges to develop creativity and skills, and also Special Projects to be featured during our Biennial Exhibition! For example, in 2018 we chose the theme of Covered Bridges. Our last challenge was to complete a Self-Portrait! 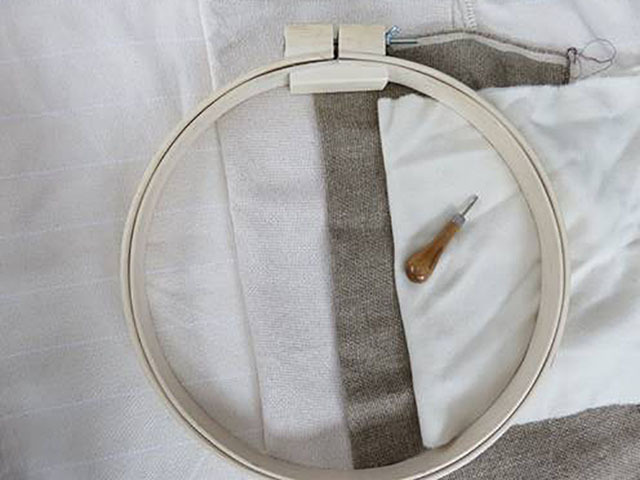 Members can use high quality cutters for free, and even pruchase some rug hooking material available at cost. During the meetings, the Guild provides coffee and members take turns to bake goodies for everyone! Come to Centennial Hall or La Tricolette during one of our Hook-Ins and enjoy a cup of coffee with us, no strings attached! Check our Events Calendar for schedule.